Italian artist Luca Ledda just finished working on his two new murals created for a project called “Latinta Mural”, which is an art residency developed inside the favelas of ”Serra Dourada” and “Inhanguetà” in the city of Vitoria, Espirito Santo, Brazil. New mural by Argentinian artist Francisco Diaz aka Pastel covering a wall of a public ‘Trosterud Skole’ school in Oslo, Norway. The piece is featuring his signature floral imagery. 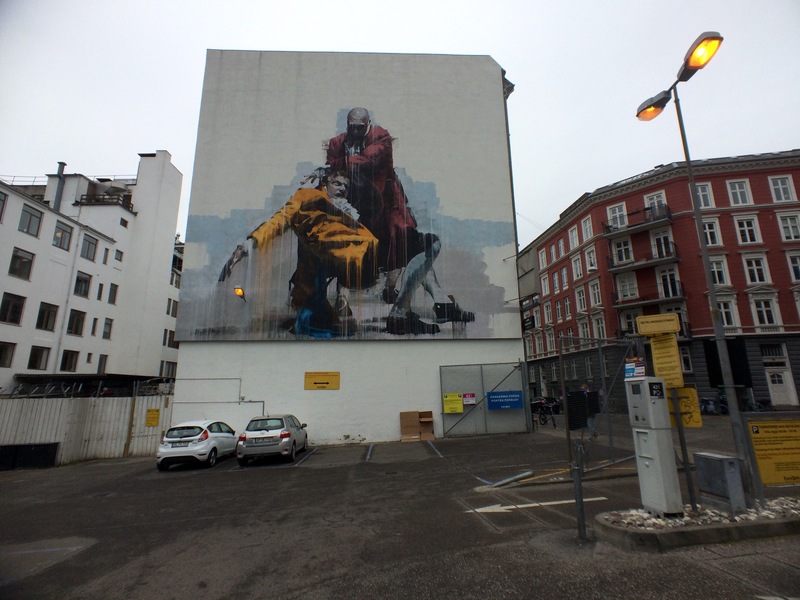 Amazing mural by Conor Harrington seen on Tullinsgade street in Copenhagen. 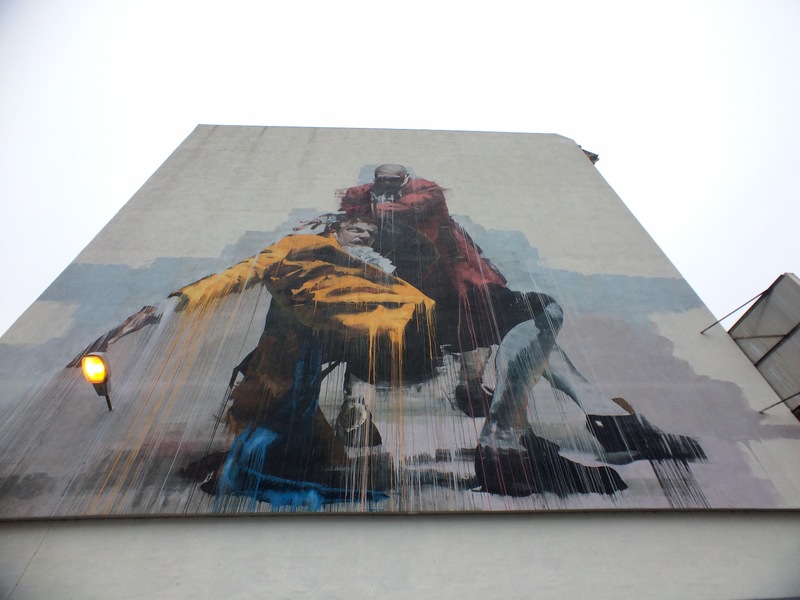 His mural is depicting two men fighting one another, their clothes suggest they belong to the Renaissance period. I am currently here in Copenhagen, more street art from this beautiful city is coming soon, as well as more regular posts. Have a nice day and thanks for visiting Street Art Rat! Shepard Fairey aka Obey Giant just completed his new piece entitled “Peace & Justice” at the Seoul Arts Center in South Korea. The mural was painted at the Hangaram Art Museum where the American street artist currently has an exhibition named “Peace & Justice Seoul” which will be on display until the end of April. KAS is a talented Portuguese street artist born in Porto who currently lives and works in Brussels, Belgium. His passion for art began at a young age. His father – also a painter – had big influence on him. KAS started painting classic graffiti lettering in the streets of Porto in 1999, he is a self-made artist, but he has learned informally from some of the greatest graffiti artists in Portugal. KAS kindly agreed to answer my questions (not only) regarding his work. Allegedly, you first got into graffiti by tagging all over the streets and then gradually progressed into street art and photorealism. How do you view tagging now? Do you see it as vandalism? Of course I hate tags on monuments! Do your murals have a hidden meaning or do you mostly create them for enjoyment? I always have a meaning in my murals. I believe that street art is a power media and I use it to pass a message or an idea. All around me is a reason to be inspired. In the last 2 years I’ve started to mix photorealism with puzzle patterns and I like to play with the pieces and create some 3D effects. 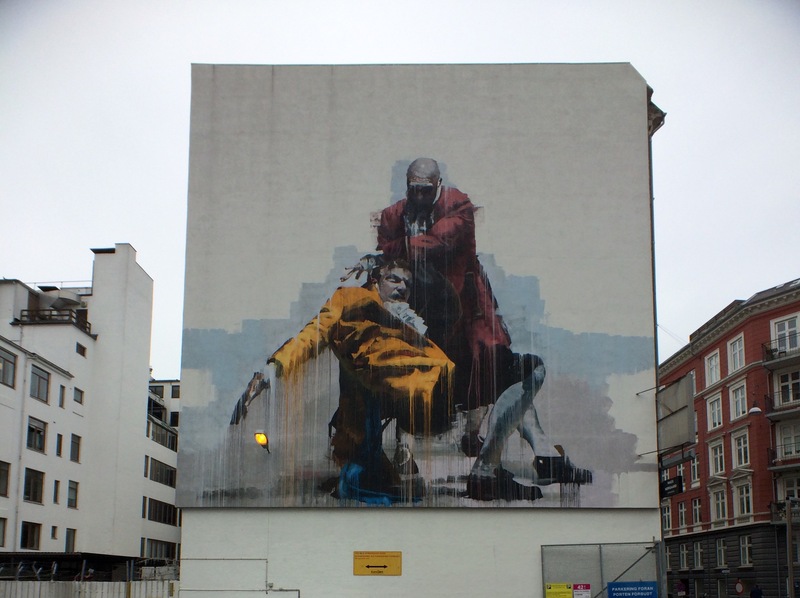 Do you have any favourite street artists? Yes a lot of them. It is difficult to choose the favorite artists because nowadays the list is quite large. I just want to continue my work and be better than yesterday. At the moment I have a couple of different projects on the way all around the world. Yes I’ve been caught and I ran away from the cops a lot of times. Normally I say: if you never run from the cops you don’t know what graffiti is! Finally, here are a few quick questions. I was in Dubai painting for Dubai canvas 3D art Festival. I already have a dream job. I would like to have the power to stop the hunger in the world and the suffering of children in the war. Check out KAS’s work on his website and Facebook. Thank you again for the inteview KAS! Random street art that I came across while visiting last week’s Salone del Mobile (Milan Design Week) in Milan, Italy. 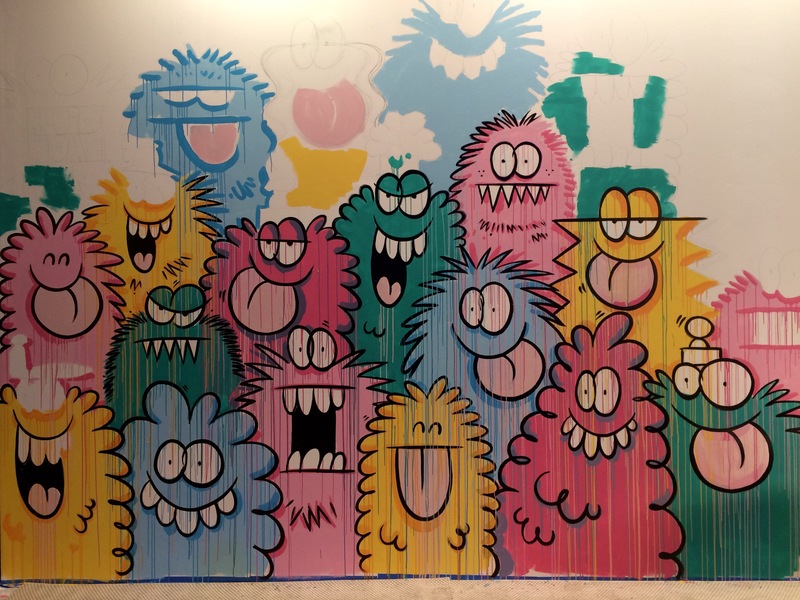 The first mural is by Brooklyn based artist and illustrator Kevin Lyons who painted a wall at the Ikea Festival in Milan’s Lambrate District. Mural by Belgian artist Joachim in Heist-op-den-Berg, Belgium! The exact location is Industriepark A 43, 2220 Heist-op-den-Berg. Check out his recent Collaboration with NILS. Brand new 3D piece by German artist Case Ma’Claim in Berlin! The mural is titled “The Paper Game” and it can be found in an abandoned 5 story tall former Bank building called THE HAUS. Hundreds of artist were involved in painting all the rooms of The Haus, this unique building will be living for 2 months before getting destroyed! “The uniqueness of this project isn’t in the simple fact of it’s existing, but the limitation. If you get the chance go visit The Haus before it’s too late!